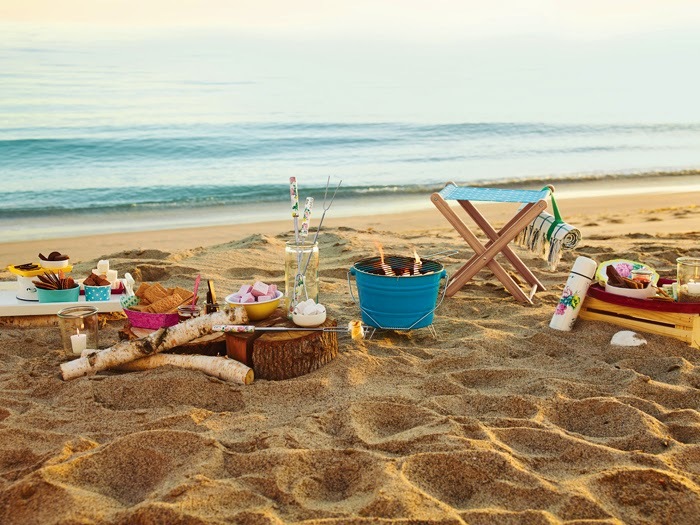 Summer is finally here and we are loving these sixteen hour days of sunlight especially and can't wait to hit the beaches for a few dinners al fresco! 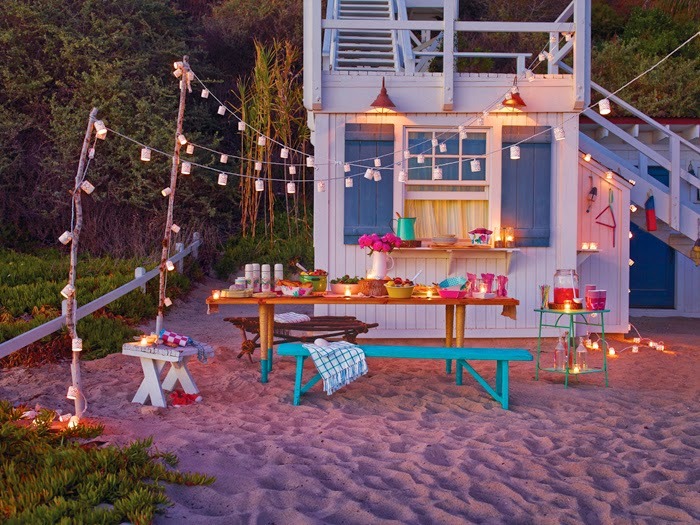 I love creating a cozy beach dinner scene and have been collecting a few images for inspiration. Here's a few to set the scene. (Above) A camper van on the beach with all the trimmings. Love this scene from Livet Hemma. Still love this scene with the patio lanterns hung from branches from our Poppytalk for Target a few years back. A lovely idea for a formal dinner outside. Love the chiffon tablecloth. Love this idea of hanging paper lanterns from the tree branches above. Love this spot staked out with large pieces of driftwood and beautiful textiles. Ooo la la, the 'stake it out' is my favourite of an amazing bunch. Very Robinson Crusoe. Talk about aspirational beach moments.